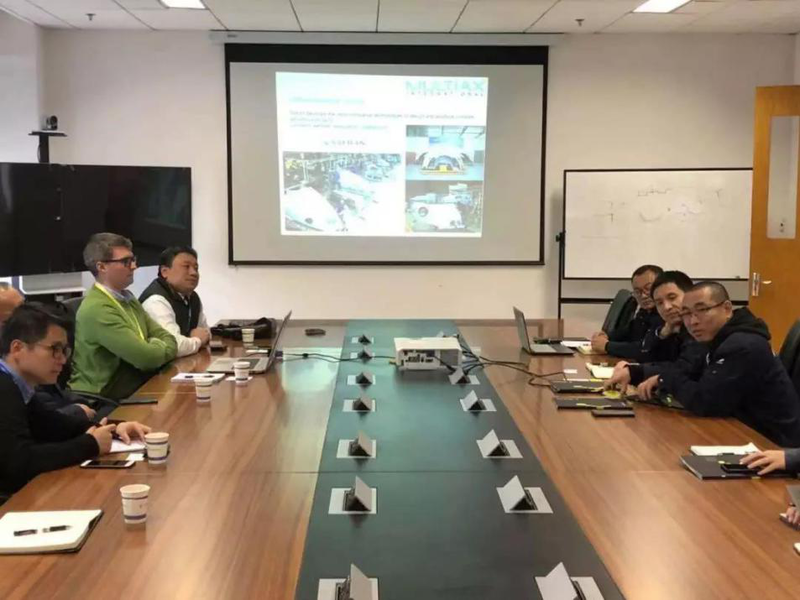 On December 13, 2018, with the coordination and recommendation of Galleon Corporation, Davide Meneghel, head of Multiax Technical Service Center, visited COMAC Composite Materials Center. The other representatives Includes Jin Hongming, Secretary-General of Shanghai Society of Aeronautics, Zhang Yifei, General Manager of Galleon Aviation Service Co., Ltd, and Li Ran, Executive Director of Galleon Media Co., Ltd. They were received by Xu Yingqiang, Director of Composite Material Center, Secretary of General Party Branch and Director of Composite Workshop of Shanghai Aircraft Manufacturing Co., Ltd. The meeting discussed about the cooperation opportunities of the second phase of China Commercial Aircraft Composites Project. On September 5th, 2017, David, the Founder and Sales Director of Multiax, visited Galleon Corporation. After the negotiation, both parties confirmed that Galleon is the exclusive agency of Multiax in Greater China aviation market. After over one year of market research and many visits, Galleon assisted Multiax successfully connected with COMAC Composite Center and we are expecting further cooperation in the future. Italian Multiax Co., Ltd. was founded in 1995. It is an innovative high-tech modern enterprise integrating scientific research, development, production and selling. It is a large-scale five-axis CNC machining center that specializing in design, manufacture and high quality and cost-effective products. It is mainly used for the processing of non-metal, composite materials, aluminum and other materials products and molds.